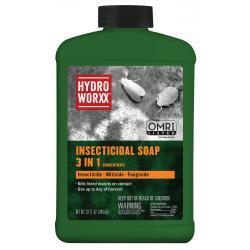 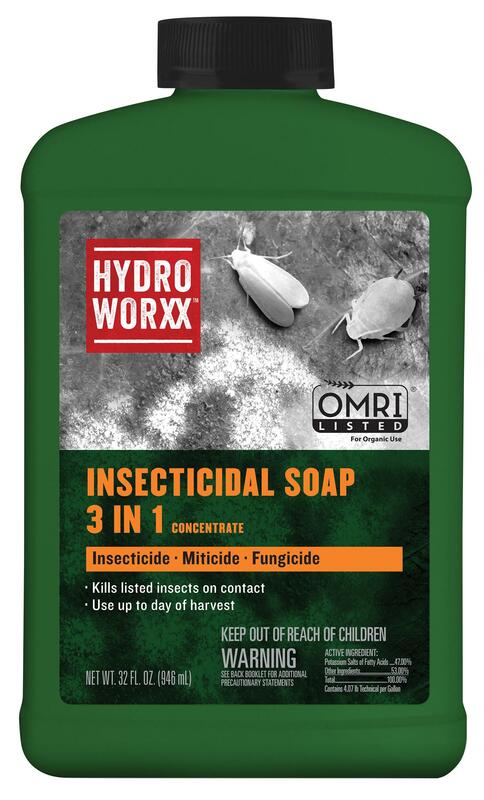 HydroWorxx™ Insecticidal Soap 3 in 1 kills pests fast by disrupting membrane and cellular function and contains specially selected fatty acid salts (soaps) chosen for effective pest control and for optimum spreading. 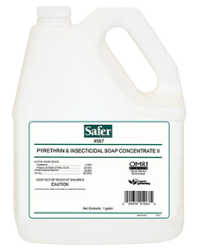 This insecticidal soap is effective against the adult, larval and nymph stages of pests. 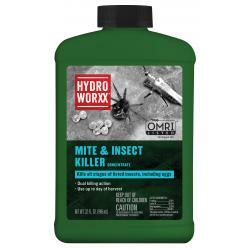 Kills listed insects on contact. 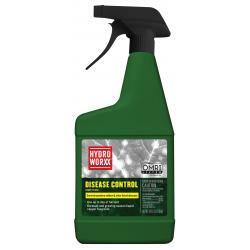 It controls powdery mildew, and listed insects: aphids, mealybugs, mites, scale, spider mites, thrips, whiteflies, lacebugs, leafhoppers, psyllids and more. Use up to day of harvest.